I’ve been on a reading kick lately, and I’ve been revisiting my favorite genre in life – YA Fiction. I’m not ashamed to admit that the pretty covers draw me in, or that the easy to follow plots and angsty, emotionally turbulent characters have me speed-reading through my breaks at work and into the wee hours of the night. I finished Divergent a couple of months ago in preparation for the film’s release since I had seen the trailer and it intrigued me. I was quickly sucked into the dystopian future setting of the story, and the unique societal structure described within the pages was intriguing in a way I hadn’t experienced since first reading The Giver. Set in post-apocalyptic Chicago, Divergent follows Beatrice – or Tris – Prior, a young girl born into Abnegation – one of the five factions that their society is divided into. The other factions – Amity, Candor, Erudite & Dauntless – exist together, each dependent on one another for different resources and positions. Each faction has its own specific traits — Abnegation are selfless, Amity believe in peace above all else, Candor value honesty before tact, the Erudite are exceptionally curious and seek knowledge and the Dauntless are the brave, albeit reckless, protectors of them all. Each year, the 16 year olds from every faction are given a test to determine which faction their disposition would sort them into. Once this is determined, the teens can either choose to leave their home factions and join one of the others, or to stay. While most members of society are easily placed into a single faction, Tris’ test results are split between 3, dubbing her Divergent — and very dangerous to certain members within the society who would do anything to keep Tris and other divergents like her from existing. While she initially struggles between choosing to leave her parents and her home faction or leaving, she ultimately decides that she isn’t selfless enough to stay and feels that she never really fit in. While I’m not sure I believe that a society could exist where people are categorized so cleanly, the explanations and details given about each faction were fun to read. From the different initiation practices to the food, jobs and clothing choices – I loved learning about each faction, what they represent and what they value. Although you’re only introduced to a small group of familial characters initially, Tris eventually befriends a new group of fellow initiates and I found her relationships with them to be some of the best part of the book. The struggle of leaving everything you’ve ever known behind, and of trying to meet new expectations that you weren’t prepared for are things that people deal with in the real world, and I found myself feeling empathetic to the fears, loneliness and isolation that Tris described feeling on the pages. 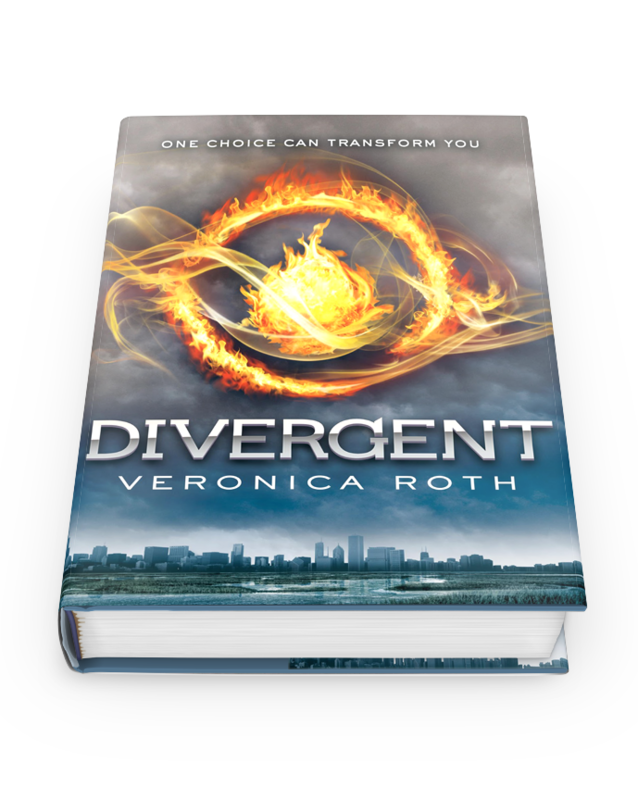 Despite that, it’s Tris’ strength in this first book of the series that really stands out. Although she is raised in one of the milder, more meek factions and chooses the literal opposite on Choosing Day by going with Dauntless, she keeps up with – and oftentimes even surpasses – those that grew up among the fearless.